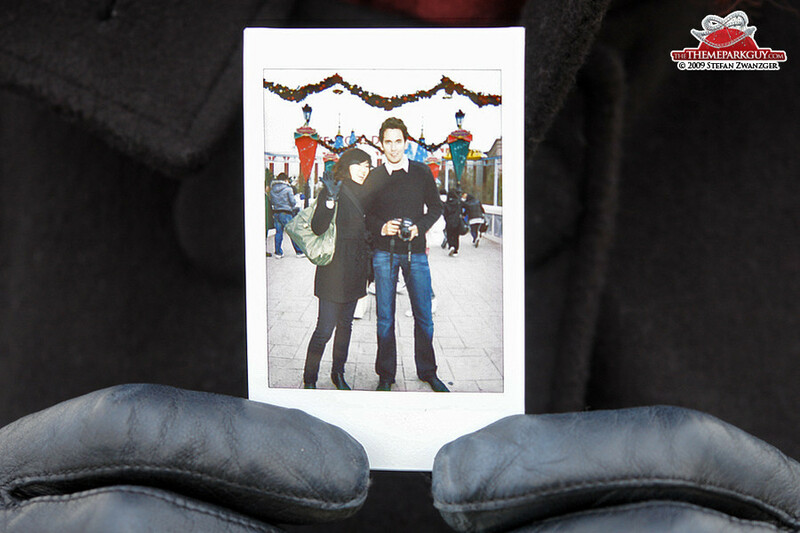 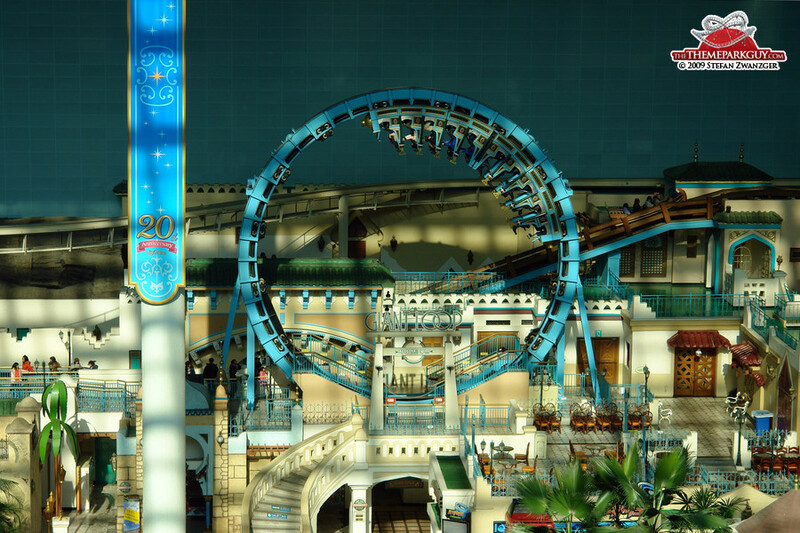 I outlined in 'The guy and his idea' section what I think about copy-and-paste theme parks. 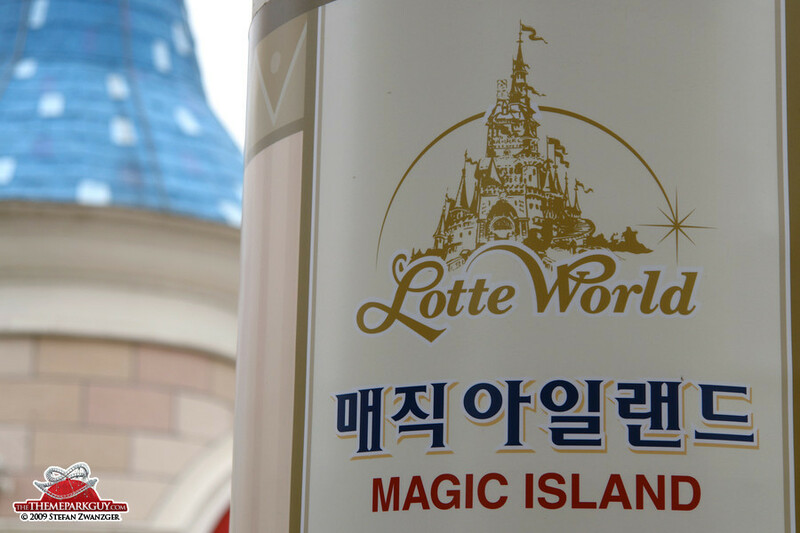 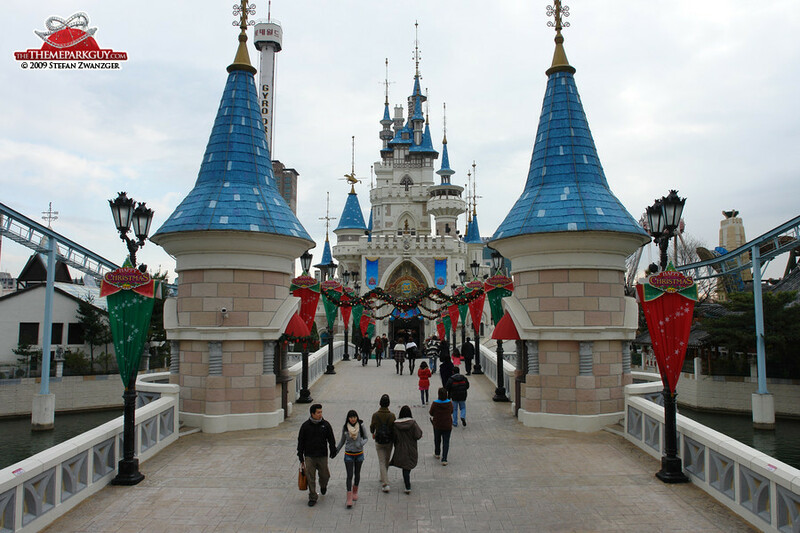 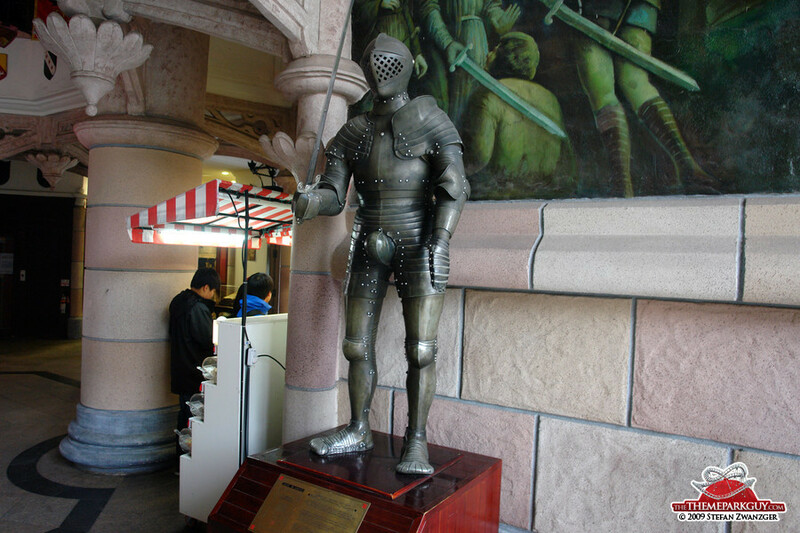 Lotte World's castle and theme park logo inflict a mixture of pain and nausea on The Theme Park Guy; it's probably not possible to copy more obviously from Disney. 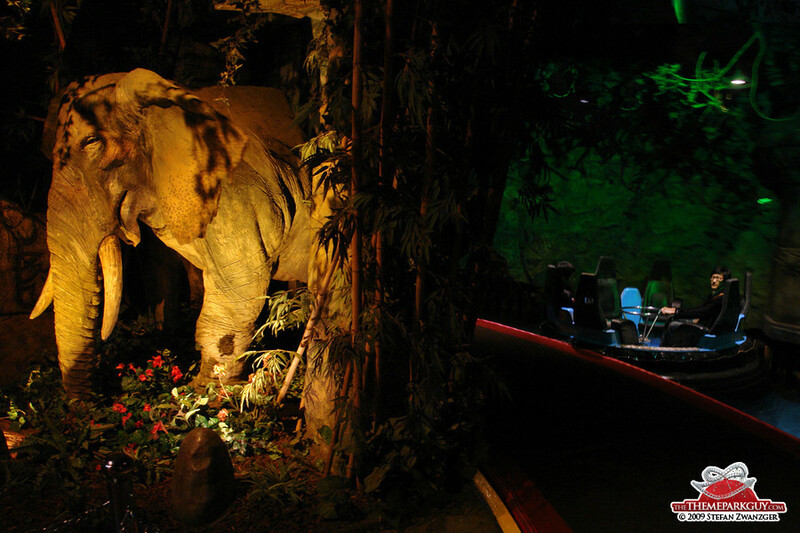 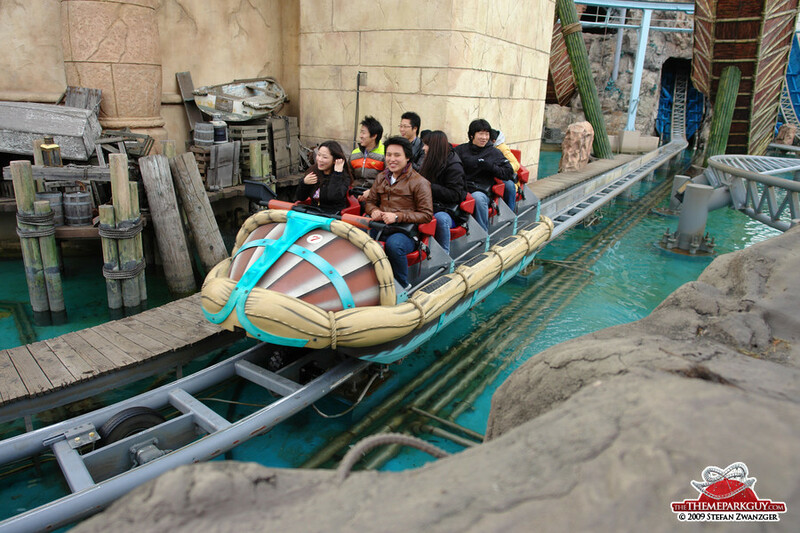 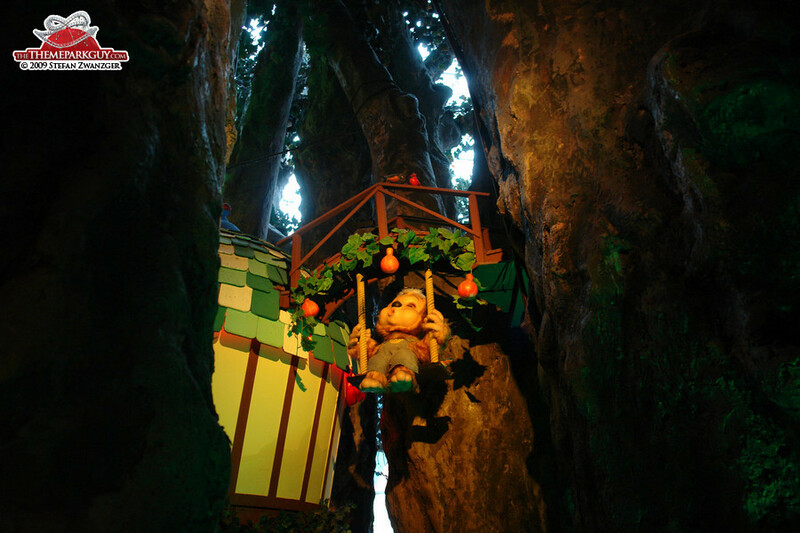 Consequently, the rides are hybrids of Disneyland's 'Indiana Jones', Universal Studios' 'Mummy Ride' and SeaWorld's 'Journey to Atlantis'. 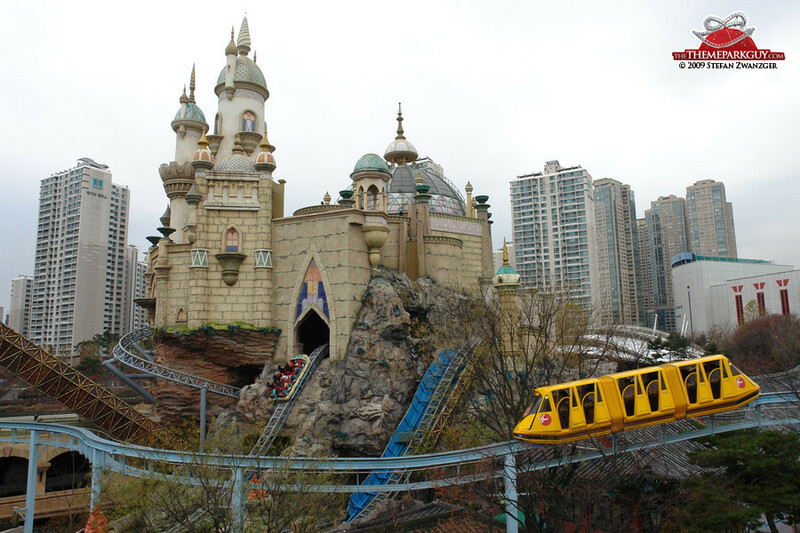 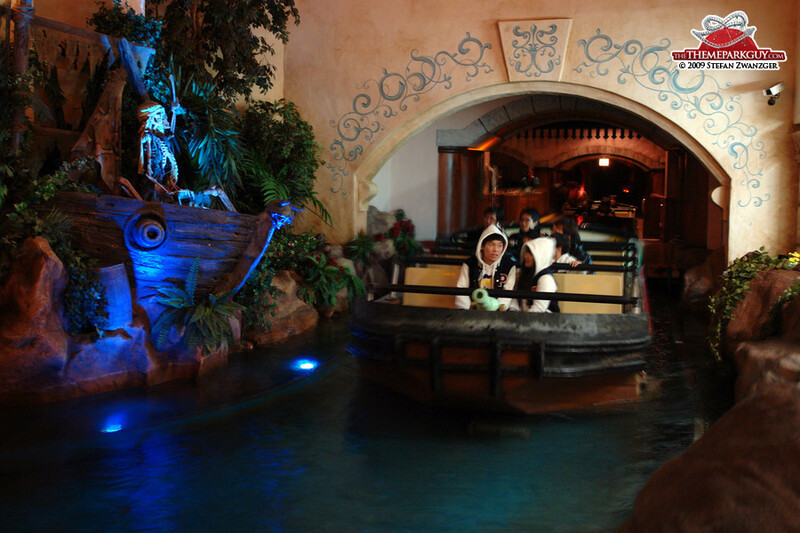 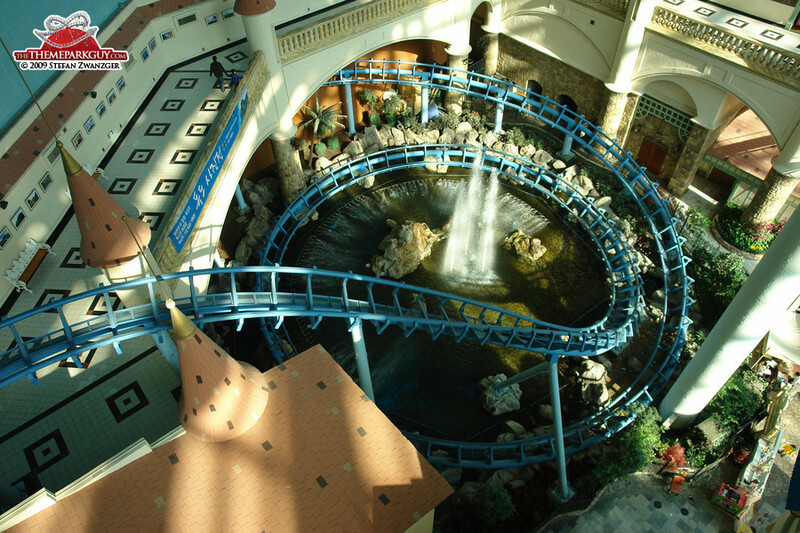 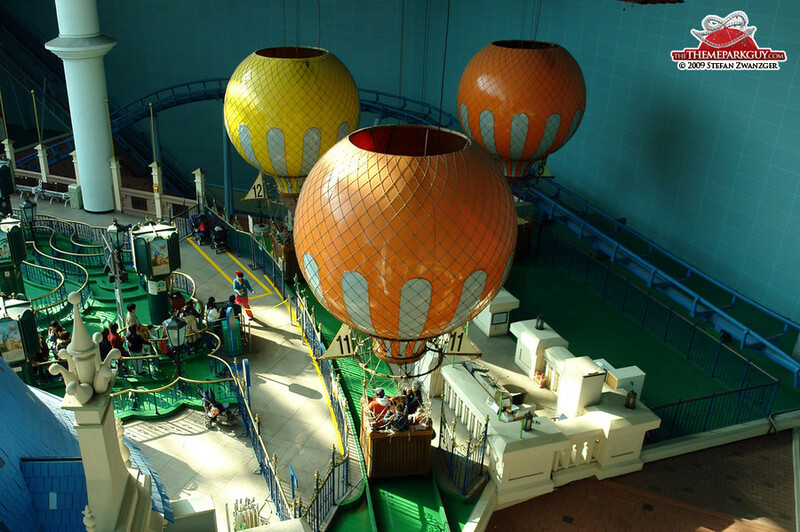 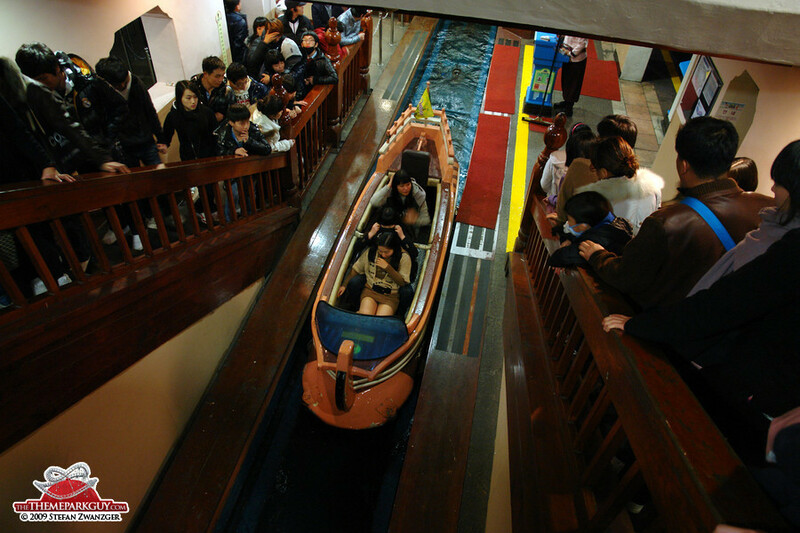 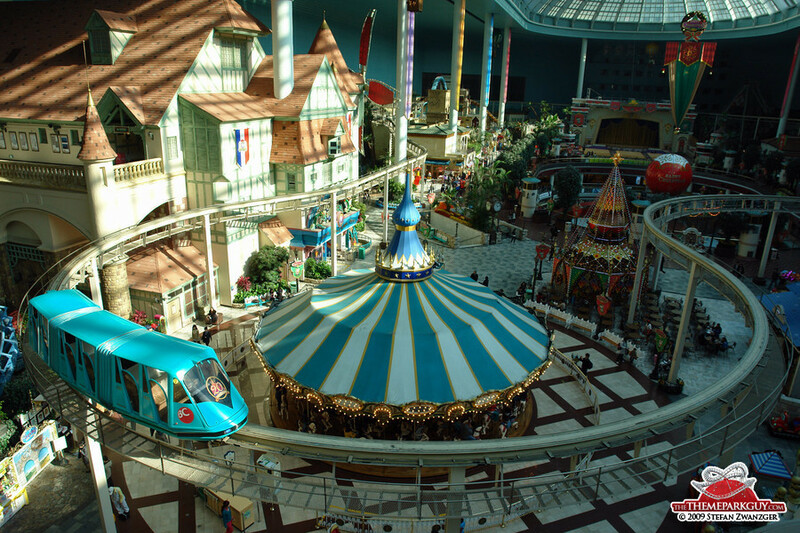 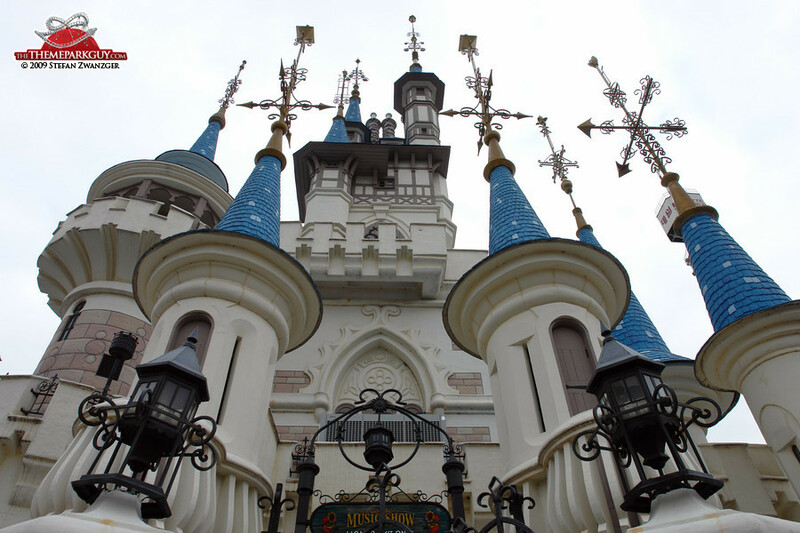 For those not blessed to have experienced the originals, Lotte World offers respectable attention to detail and big-budget ride design. 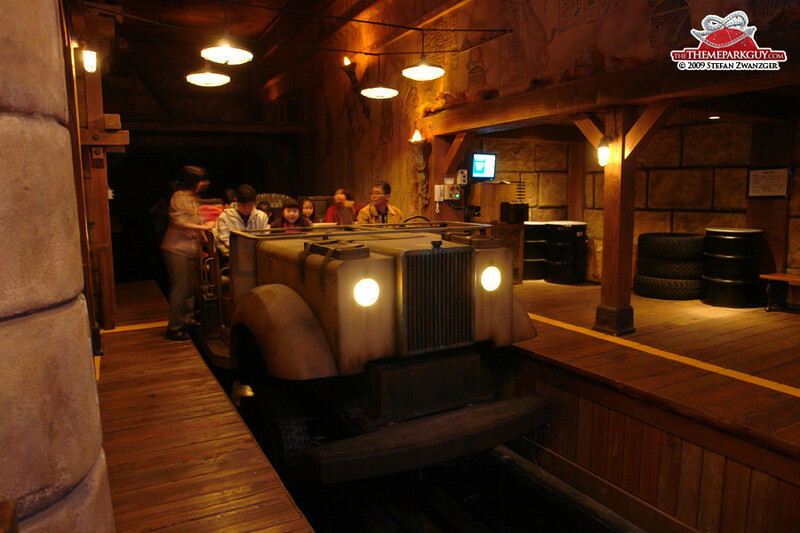 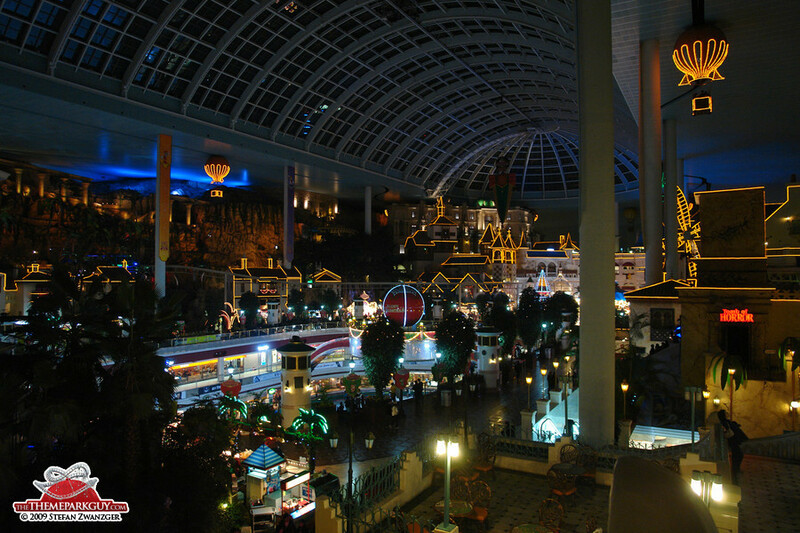 The indoor part of the theme park appears a bit industrial and cold during the day but turns into a rather romantic stage in the middle of Seoul at night, when it can be accessed at a discount rate.